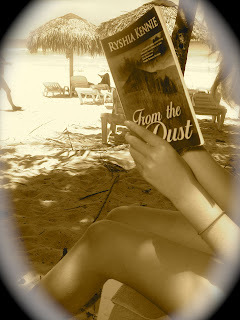 With the help of a great friend, "From the Dust" went to Cuba. I'm not sure how Eva and Tate enjoyed the journey but I heard their good friend Hilda danced a fine tango. Sometimes it doesn't matter where you are but what you do. I am an historic romance. I was written by Ryshia Kennie and published by Black Lyon Publishing. I am a unique story set in the depression era Canadian province of Saskatchewan. I opened to great reviews. But that aside, this blog is to share my story. 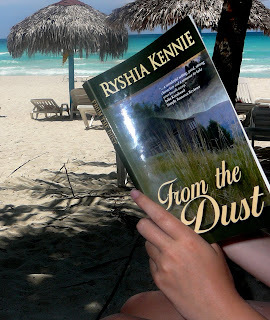 It is about the places I visit, where I'm available, what people think about me and most importantly, what my characters are up to and what they really think about love, life and their role in a love story that survives the odds. I'll let Eva and Tate, and even my creator, speak for themselves now. Is it a Life You'd Choose? He died with liquor on his breath and poison in his soul. Doc MacPherson claimed that between the alcohol and the arsenic there were enough chemicals in his body to keep him pickled to the second coming. It was a terrible way to die. Eva wouldn't wish that on anyone, even him. She shivered. The last twelve hours had been awful. She pulled a bobby pin from her hair, rearranged a stray piece and secured it again. She hadn't reacted well. She knew that. She regretted snapping at the child. She regretted a lot of things. None of them could be undone. Like Mr. Edwards, the time was gone, over. The damage had been done. "He went sudden. That's a blessing." Hans said abruptly like he could read her thoughts. Her sigh was short as the wagon took that moment to bounce in a rut. The coffin slammed against the wagon rails. Her hand tightened on the rough wooden seat while the other gripped the child's thin arm. The coffin slid across the wagon box and banged against the other side. The wagon rocked. She jarred against Hans. "Gee up!" 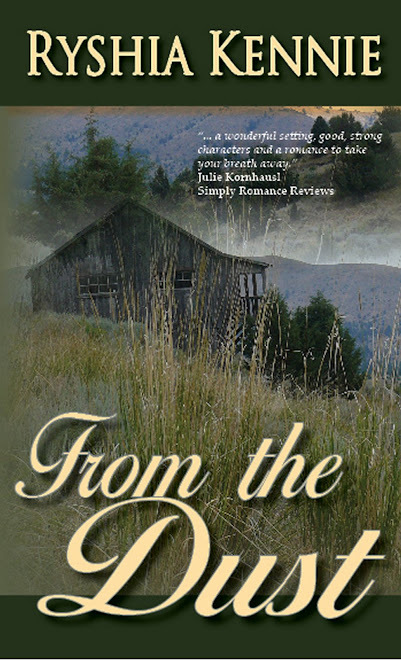 Hans flipped the reins and nudged her over on the wooden seat with his elbow. She glanced over at her old friend and closest neighbor. "Hans, I can't thank you--"
"Don't be thanking me, girl. This is the least I can do. Should have been me who hammered that coffin together. You shouldn't have--"
She laid gentle fingers over his large knuckled hand. "You've got enough to do without worrying about me, too." Hans looked skyward. Tension etched his worn face. "You shouldn't have hammered his coffin together." He clucked at the team. "Unseemly." She swayed as the wagon rocked. The future looked grim. Fear knotted and twisted in her gut. She'd forgotten to look at the sore on the cow's leg. The thought rose unbidden and battled a litany of other chore-related thoughts building in her sleep-deprived mind. She had spent the early morning hours hammering scrap wood into a coffin for Mr. Edwards. married for four years--in all that time, she had never called him by his first name.